The issue of human rights for women in Pakistan has drawn fresh attention since Malala Yousafzai was chosen to share last year’s Nobel Peace Prize. Yet violence and abuse against women are still serious social problems. 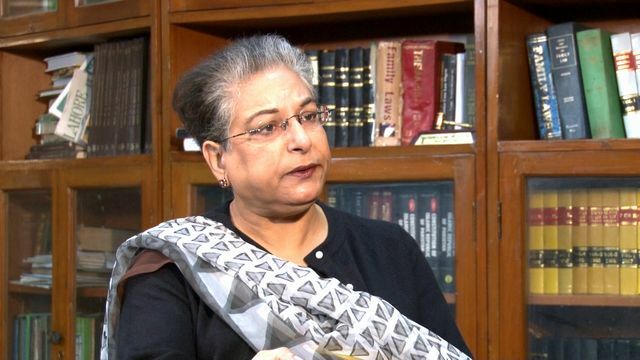 Lawyer and human rights activist Hina Jilani has led the fight for human rights for Pakistan’s women for 30 years. She established Pakistan’s first all-female legal practice and helps women who have fled from abuse. She has received international recognition for her work and led the UN’s human rights agency. We ask Jilani how Pakistan can become a country where everyone’s human rights are guaranteed. Somewhere in Lahore, there’s a facility guarded by armed police officers. It’s a shelter for women started by Jilani. She named it Dastak, the Urdu word for “knock”. Her idea was to welcome anyone who knocks at the door. Sixteen women, including some with children, live there. 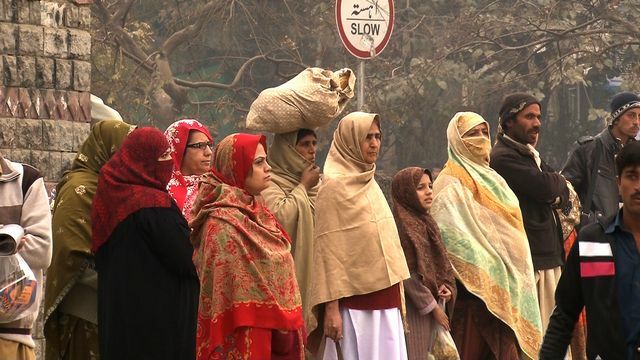 Today, “Asian Voices” comes to you from Lahore, Pakistan. Our guest has been fighting to protect the rights of her fellow women. 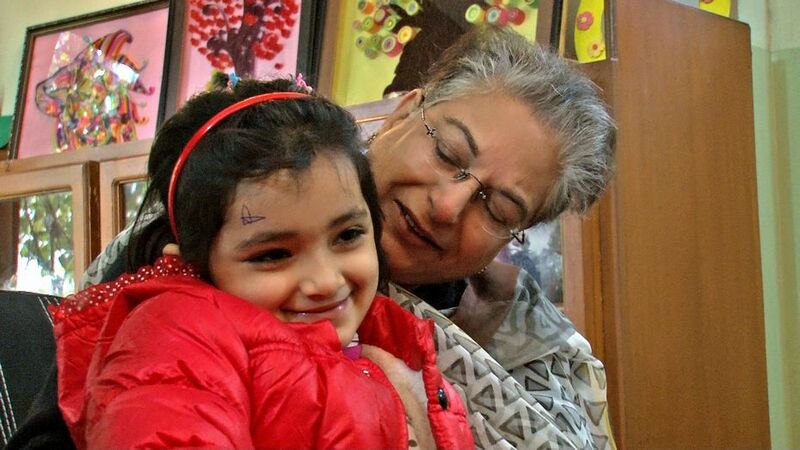 Hina Jilani is a lawyer and human rights activist. 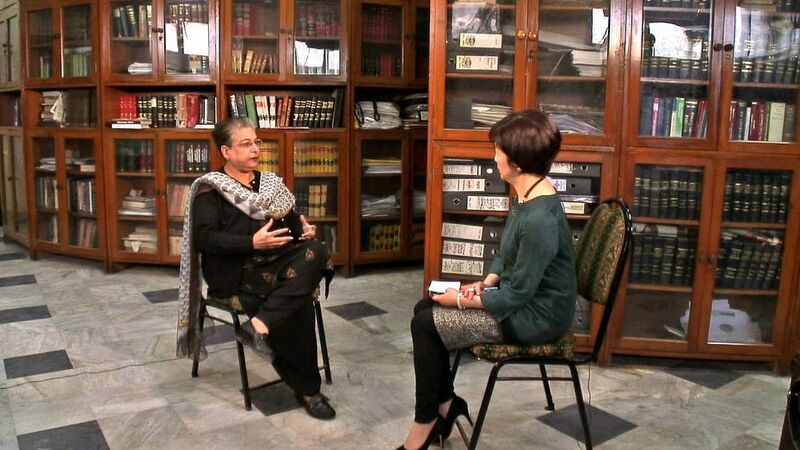 She’s been fighting to improve human rights in Pakistan for more than 30 years. It was here in Pakistan that Malala Yousafzai, who shared last year’s Nobel Peace Prize, was shot. Pakistan has long struggled with violence against women and children. Some women are even killed by family members. In 1980, Jilani opened the country’s first all-female law practice. She has stood at the forefront of Pakistan’s human rights movement ever since. Jilani also runs a shelter for battered women and helps them become self-reliant. 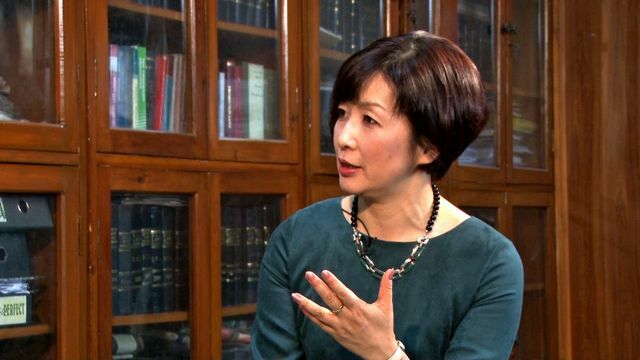 She drew on her experiences to lead the UN agency that promotes human rights. Jilani also belongs to The Elders, a non-governmental group whose members include former heads of state. We ask Jilani how Pakistan can become a country where the rights of all members of society are respected. Late last year when we visited Pakistan, soldiers were on the alert and tensions were running high. 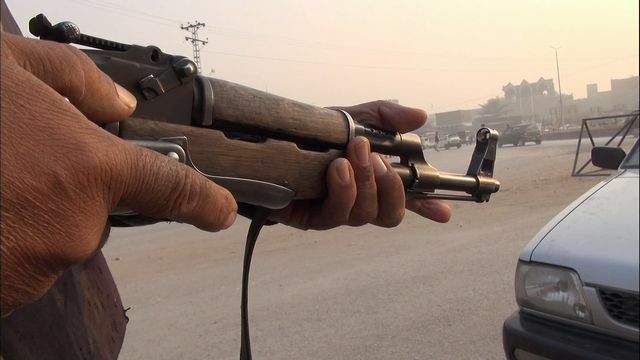 The trigger was an incident in December in the northwestern city of Peshawar. An Islamic extremist group called the Pakistani Taliban attacked a school run by the army. The militants randomly opened fire on students, killing more than 150. The deadly attack targeting children stunned the nation. The shootings sparked a wave of anger across Pakistan. People are saying “no” to terrorism. The government responded by resuming executions of death-row inmates and is stepping up measures against terrorism. Islamic extremists have threatened to strike back, leading to concerns of further attacks. How can Pakistan break out of this cycle of violence? Most recently, in Pakistan, there was a tragic incident in Peshawar, on December 16th. What was your initial reaction when you came across the news? I think it was a shock that went throughout the nation. But I think people need to understand that this is not the first terrorist attack that Pakistan has suffered. We have had several hundred terrorist attacks in the past few years only. One of the things that came out of this attack in Peshawar is a national resolve that terrorism has to end. This resolve should have come much earlier. I do believe that this is not something that we are victims of. This is something that we created, and are now experiencing the aftermath of our own actions. A key factor behind the rise of Islamic extremists in Pakistan was the former Soviet Union’s 1979 invasion of Afghanistan. Muslim soldiers known as the Mujahideen used guerilla tactics to resist the Soviets. The government of Pakistan joined the United States in backing them. Pakistan also trained soldiers to send to Afghanistan. Even after Soviet troops withdrew, Pakistan maintained a close relationship with Taliban leaders. And Pakistanis influenced by the Taliban spread extremism in Pakistan. Because of what was happening in the region at that time with the Soviet invasion of Afghanistan, a deliberate attempt was made to create in this region some kind of a religious fervor in order that they could gather forces to fight in Afghanistan against the Soviets. This was something that was done as a joint venture by both the Pakistan military and the Western countries. We are really reaping the results of what was done at that time. Of course, these acts of atrocities needs to be condemned. But it does seem, having read the newspaper for the past few days, that there is an outcry from the public for the resumption of execution. Would that be a direct deterrence to such acts? Absolutely not. I do believe that the death penalty is a controversial issue in this country. I am against the death penalty, especially in countries where there are such fraud justice systems that the finality of a death sentence is certainly not acceptable. In the context of Pakistan and terrorism, I don’t think that this is going to in any way affect our struggle in the elimination of terrorism. What we need to do is, first of all, review our foreign and defense policies. Make sure that there is nothing in Pakistan’s security doctrine or policy that depends on outsourcing war to Jihadists. And this policy of Jihadism be totally eliminated. I think those are the things that need to be done. We need to make sure that in our school curriculum, hate literature is totally eliminated. Children are taught to live in a plural and diverse society that we are in. They are to be taught the values of tolerance, of adjustment, and of accommodation of pluralism. Jilani has dedicated her career to protecting human rights for women and children. This is Jilani’s law practice in Lahore. About 40 women come each day for consultations. They include this 27-year-old woman. She says her husband demanded a divorce, and then she was almost killed. The first thing Jilani does when a woman comes seeking help is to offer reassurance. Jilani decides to provide shelter for the woman and sue her husband for her living expenses. The law office has pictures depicting domestic violence against women. This one shows a woman whose nose is being sliced off. In another, a husband threatens to pour acid on his wife. Many women put up with such abuse in silence. But Jilani wants to help them understand that it must end. 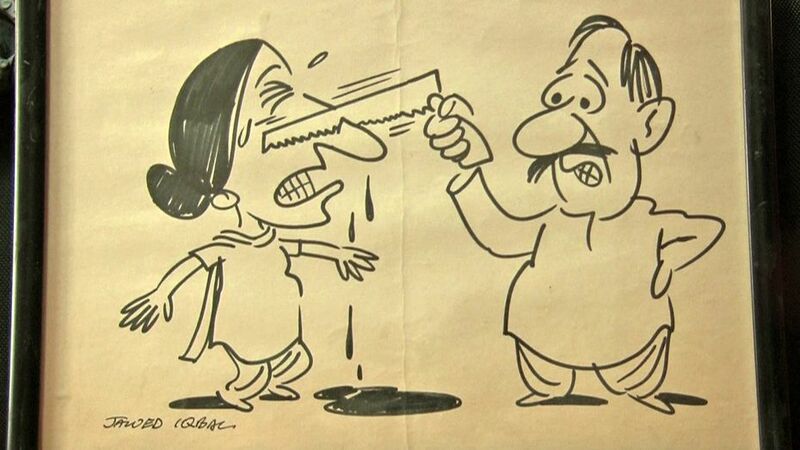 Cartoon depicting an actual crime against a Pakistani wife. Jilani is especially troubled by “honor killings.” For instance, a woman who marries a man without her family’s consent may be killed by her father or other relatives for tarnishing the family’s honor. Last May, a 25-year-old woman was beaten to death with bricks by her father and other male relatives. She married someone different from the man her family had chosen, and became pregnant. In 2013, there were nearly 870 confirmed honor killings in Pakistan. But many cases are treated as family matters and are never reported to the police. Many people say they approve of honor killings. What factors do you think have been becoming great in the actual crimes of violence, honor killing in particular, in this country? I think it’s mostly a social mindset that ordains control over women’s sexuality, over their autonomy. When women exercise their right of choice, women exercise their right to make a decision for themselves and to determine their own future, it is then that the family and the society react. You see, the perception here is that women are the property of the family. They can be bartered away, their rights can be easily violated, the practices that lead to killings in the name of so-called honor because I believe that there is no honor in killing anyone. Then there are other issues that they link with this kind of feeling of honor, such as a view that women should not be in the public domain. Working women have been killed only because they went into the public domain without the consent of the family. So these are the kinds of things. As long as you can control women, and make sure that they do what you want them to do. For instance, there are these absolutely unacceptable practices of bartering women. If you have a family dispute, you will give away a woman as a compensation for resolving the dispute. So these kinds of practices, although now much less frequent, still exists. The problem of women is acute in this country and I have to say I’ve had several times when I have thought that the female population in this country is a population at risk. In the cases of honor killings that can often happen, where the perpetrators of crimes can go about, set free. We have laws that are deeply flawed. In cases of honor killing, there is, in fact complete impunity, which is supported by the law itself. And therefore, even the judiciary and the justice system cannot deliver justice to victims of honor killings. The general law of murder here is such where the family of the victim can forgive the accused. Now imagine a situation where a woman is killed by her own father or mother or brother. When she dies, her heirs are the same as those who have killed her and they forgive each other and the law is satisfied. This is the height of injustice. You also speak about the culture of impunity. What do you mean by that? The culture of impunity comes firstly because of the mindset of the society where what is unjust is not even recognized as unjust and people’s perception of justice has to be corrected. The rule of law is weak. State capacity to eliminate impunity and to ensure that people who suffer do get redressed, but that capacity is extremely weak and the political will is not there. It is a divided society, it is a class stratified society where influence and contacts, at many times, work in favor of those that do injustice and those that perpetrate fear and harm to other citizens. Now, in the face of all the threats, you have relentlessly worked for the cause and continued your activism. And I understand it was in this office that you yourself were threatened. Yes, there have been several such incidents. One such incident of course was the most extreme where one of my clients was killed right next to me by her own family unfortunately. When outside agencies organize themselves and form associations to protect women and other victims of family violence, the anger of the family and the society turns to these people. So then we have human rights defenders, especially women human rights defenders, who become the target of hatred, of violence. And hence human rights work, especially for women’s rights, has become a very dangerous business in such societies, especially mine. Many of the residents fled abusive husbands. And some came after refusing marriages arranged by their families. Could you tell me about your story? Women at the shelter can learn sewing, cooking, and accessory making. And as they fight in court, they prepare for the day they will stand on their own feet. T-shirts and bags they make are sold in the neighborhood. This deepens the practical aspects of their training. The children receive lessons similar to those taught at regular schools. Some of the funding for these activities comes from international NGOs and other groups. A talk for shelter residents is held every two weeks. Jilani encourages the women to live independently. Victims of domestic violence crafting to support themselves and their children. You have this law office to provide the legal assistance and support, and you have also established a shelter to provide support for women in distress. This shelter that we have actually started from my observation of the fact that while we are giving legal aid, that’s not the end of the problem for women. I am extremely worried about the fact that when women are harmed, they do not receive social support as they should. I am extremely worried that when women are harmed they do not have enough knowledge and information on what can be done to help them. Also I’m worried that sometimes when women come to us, we have very few tools in our hands to help them because as I said, the legal framework is inadequate many times. But more than the legal framework, the problem is that the state’s duty to protect is not complemented by the state actually setting up state mechanisms on the ground which can help victims. We have never refused a woman admission in this shelter. We have certain criteria, but we try and accommodate as many as we possibly can. But at the same time, I know that the need for these shelters is much greater than what we are providing. What are the priorities in encouraging those women in distress to be relieved of trauma and to rebuild their life? So the first thing that we do is to inspire that woman and give her some confidence. Get her some psychological help so that she can overcome the trauma, show her the way in which she can resettle herself. And that the families or others who are seeking to harm them also then would know that this woman is not powerless. She has support, she can be helped, and she has become empowered because of that support. NHK Senior Commentator Aiko Doden. And it does seem like it’s a question of regaining one’s dignity. The slogan of this shelter is “protection with dignity”, which means you do not give women protection by taking away all their other fundamental freedoms such as the freedom of movement, which is the policy largely of most of the public shelters in this country. I started this shelter with this vow that whatever I have to do and whatever I have to overcome, I will never put these women in a situation where they feel that their freedom of movement has been curtailed. These are adult-thinking, sub-juris, women. They have the right to make their choices. We are only there to help them and advice them when they need it. This is a farming community in the suburbs of Lahore. We visited a former shelter resident who now supports herself. 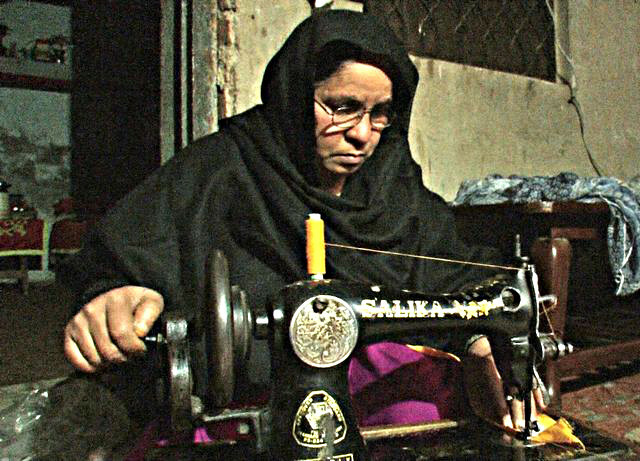 49-year old Zainab Bibi makes a living by sewing. She used to suffer severe abuse from her husband almost daily. Bibi stayed at the shelter for a year until her divorce was finalized. She later married someone else. With little money she had, she purchased a secondhand sewing machine and began working. Today she earns about 60 dollars a month, the average wage in this area. So how is your life now? After Bibi left the shelter, she was followed around for some time by her ex-husband. But her sense of danger has gradually diminished because she covers her face completely when she goes out. Zainab Bibi, successful graduate of the shelter now self employed. When I met one of the graduates of the shelter, Zainab Bibi, I felt that she was really standing on her own feet. No, she did not fight for her rights by force, but it seems as though she fought for it by empowering herself. That’s true. That’s true and all we can do is to help them empower themselves. Once they get this sense of empowerment, they’re capable of doing whatever they feel like. Many such women have been able to resettle themselves, despite the fact that the families have not been able to accept them again. They have not been able to go back to their families with the promise of safety within that family environment, but they have been able to do well themselves. Female literacy rate in Pakistan is rather low, and the gap between the male and female literacy is very big, one of the largest in the world as well. That is not totally unrelated to the status of women perhaps? Absolutely. I think it is a very major factor. However let me point out that although I am all for this concept that education helps build societies, education must not be equated with awareness. This is not an unaware society. Women are becoming more and more aware. Unfortunately, we are not targeting the society and the communities at large. If you just target women, they will become aware but then they will have this friction with the society whose level of awareness has not been raised parallel to that of women. It is a fact that if you treat women right, it is not just important for the women themselves, but it is important for the society itself. In the face of threats and violence how do you keep yourself going all these years? Look, there is no option. There is no option. How can you live in a country and a society? Look at all the injustice around you and turn your face away, how can you do it? I’m a lawyer, my first responsibility is to use my profession to strengthen social and legal remedies, and make it easier for people to live. I live in this society. I’m not necessarily doing it for everyone else. I’m doing it for myself too. You have articulated many of the challenges that Pakistan faces, but if I were to see any hope, a ray of hope in advancing women’s rights, what would that be? I think it would be a constant struggle. I don’t think the society’s ever become ideal. Nevertheless, to bring them to a state where discrimination and equality of opportunity exists would be a great accomplishment. People like us, human rights defenders, have patience and we invest a lot in the struggles. For us, success, although a very coveted achievement, is only a bonus. So, in the future, where would your activities take you to? If I came back to Pakistan the next year and conducted an interview, would you still be saying it’s a constant struggle? I will still be saying that there is a way forward to go. We have a lot to deal, to do. The day that I feel it is easier to do it will be the day that you will, perhaps, one day come and ask me and I will say I am still doing the same thing. But today, it’s easier than it was yesterday, and I hope that day will come. The struggle is there, we will always struggle. We just hope that it will become less and less painful. Well thank you very much, Ms. Jilani.